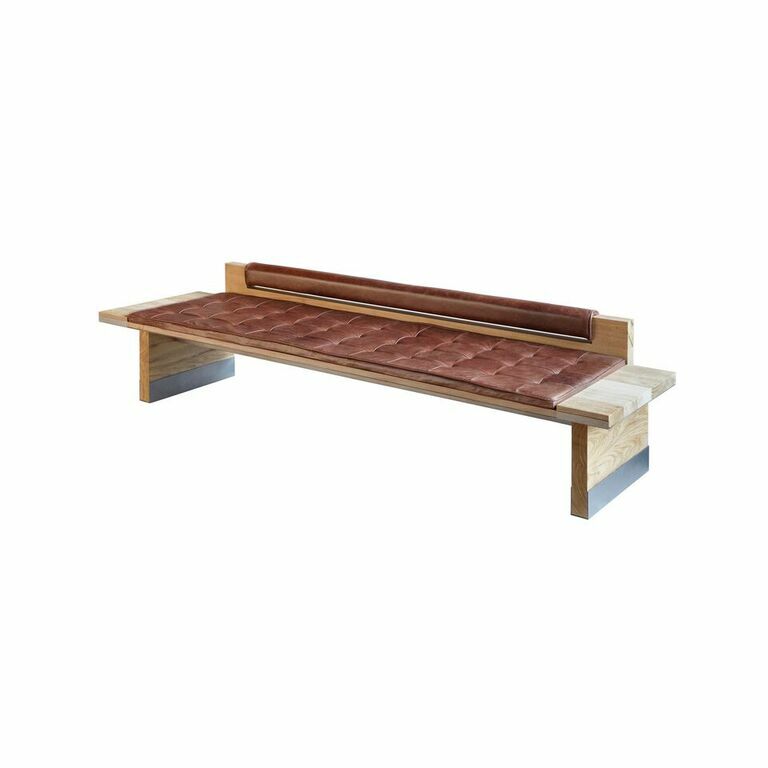 Bench built in cleared Freijó (Brazilian walnut), with its seat upholstered in natural leather, structured through a corten steel tray with protective shoes against erosion of the bases also in corten steel. The Paraná bench was designed mainly for public spaces, such as shopping malls or common areas in buildings, hence the concern with aspects related to the use and maintenance of the piece, in addition to its structural strength. 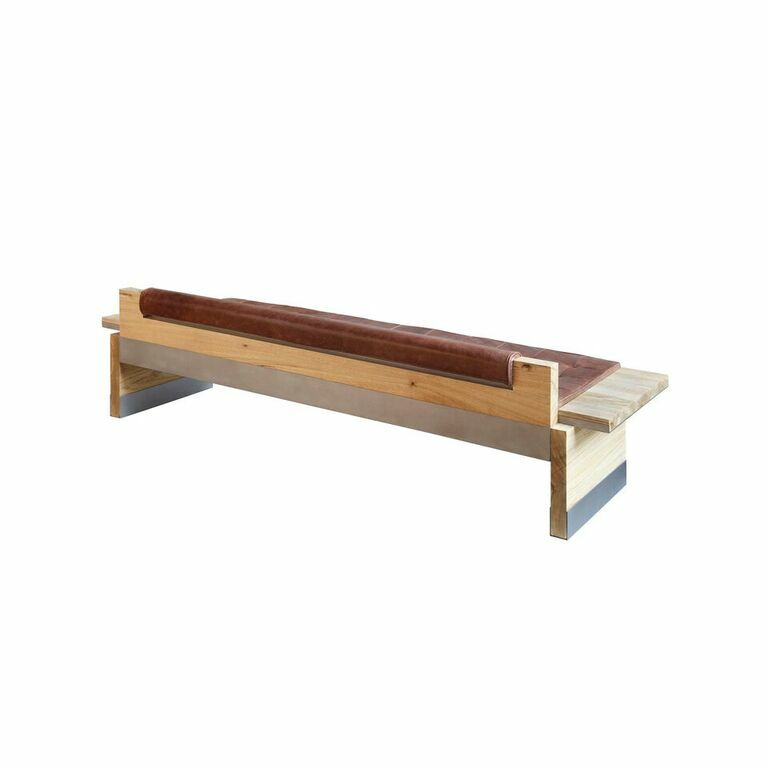 Created from the construction orthogonal planes that show the structural function of its components, resulting in a simple visual format that privileges the clarity of the materials used, the bench seeks for a constructivist language, appealing to the handcrafting in the Brazilian tradition of works with wood. In its conception, the possibility of a genealogy of similar objects that can meet other settings was considered. 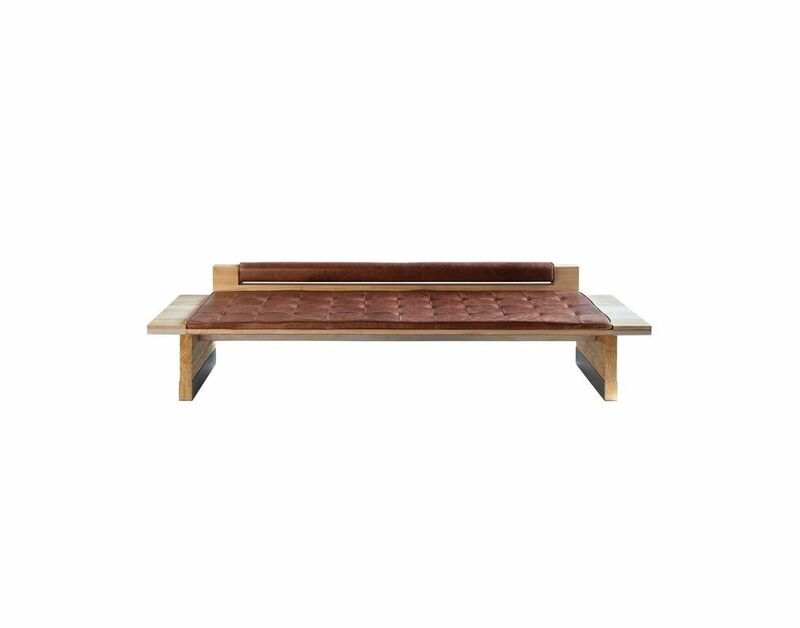 Thus, we have the simple backless bench, a bench with a backrest, and the double bench, in addition to long coffee tables or sofa backrest sideboards.